Baller on a budget? Or just being savvy? 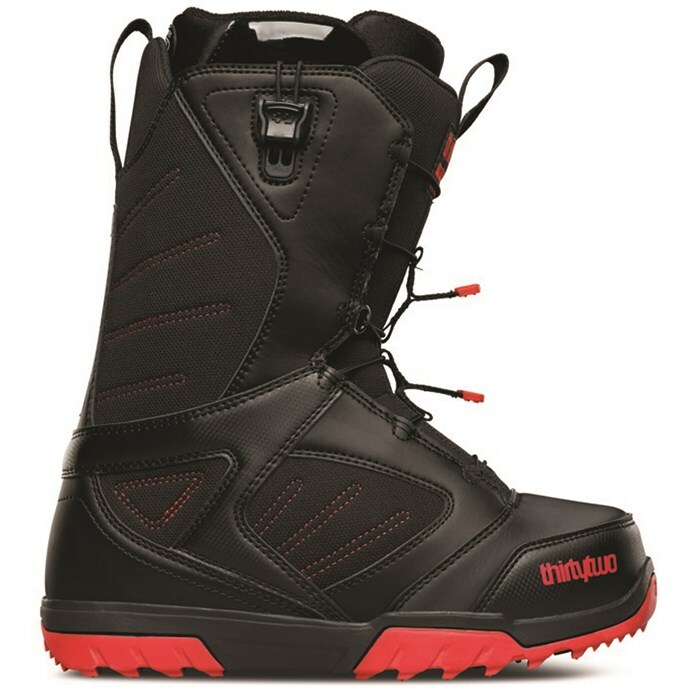 Either way the 32 Groomer FT Snowboard Boots are quality for shredders just like you. These well-equipped boots have Fast Tack Lacing, which reduces the bulk of traditional laces and is way faster. The Level 1 Liner is the foundation of the comfortable, warm and supportive Groomer fit. Right out of the box you'll want to throw on the 32 Groomer FT snowboard boots and go get some turns. Comfort Fit  The fit that is comfortable right out of the box. Level 1 Liner  100% Heat Moldable Intuition Liners for a custom fit. Made of single density Intuition foam for comfort, warmth and support. The internal anatomical foam overlays and integrated lacing system achieve optimal heel hold. Fast Track Lacing System  This 'quick-pull' lacing system reduces friction, provides quick readjustments, and eliminates the bulk of traditional lacing. Level 1 Footbed  EVA with Sherpa top sheet for warmth and comfort. The lightweight design gives you optimum performance. Rubber Outsole with Aggressive Tread  A durable rubber outsole with a deep and defined grip pattern for proper traction in all conditions.